Last month, I was in my hometown for a long weekend celebrating major milestones for some of my family members. I was at the stoplight when I saw the strangest sight. Right before my eyes was a school bus that had been painted white. This bus had no windows and the seats had been taken out and were currently being replaced with watermelons. I immediately started laughing. Only in a small town I thought. About an hour later I saw my cousins and recounted the sight with fits and giggles. They looked at me with blank faces. “We don’t get it. That’s the truck that brings the produce in from the fields. It always looks like that.” Then they started laughing at me saying I’d been living in the big city too long. Mind you, I live 45 minutes from town. I seriously heart my family. Later that night, we had the sweetest watermelon I’ve had in a long time. The juice ran down my arm with each bite. It was perfectly chilled and so good. Watermelon is sort of like apple pie it totally screams summer. I love ice cream but I’ve also been looking for sweet treats that offer a healthier alternative. 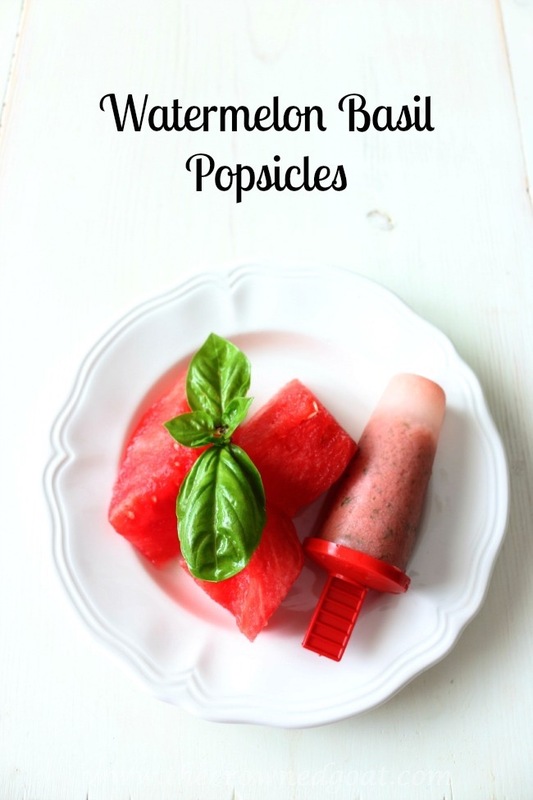 With both an abundance of watermelon and basil right now I thought I’d share with you my recipe for Watermelon Basil Popsicles. 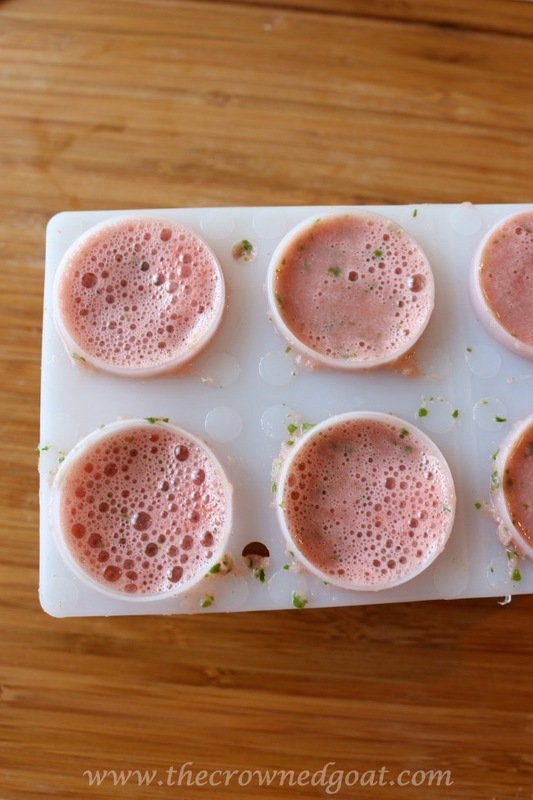 Next pour blended ingredients into clean popsicle molds. 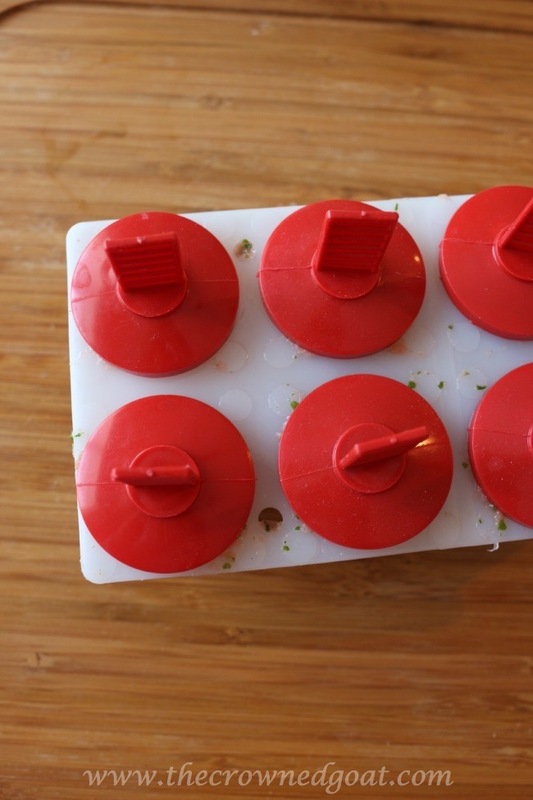 These are vintage Tupperware molds but they sell popsicle molds at most major retailers. Insert popsicle sticks or tops of popsicle molds. Place in the freezer for approximately 3 hours. Just a little tip if the popsicle gets stuck in the mold just run the mold under warm water and the popsicles will loosen up. Serve and enjoy! 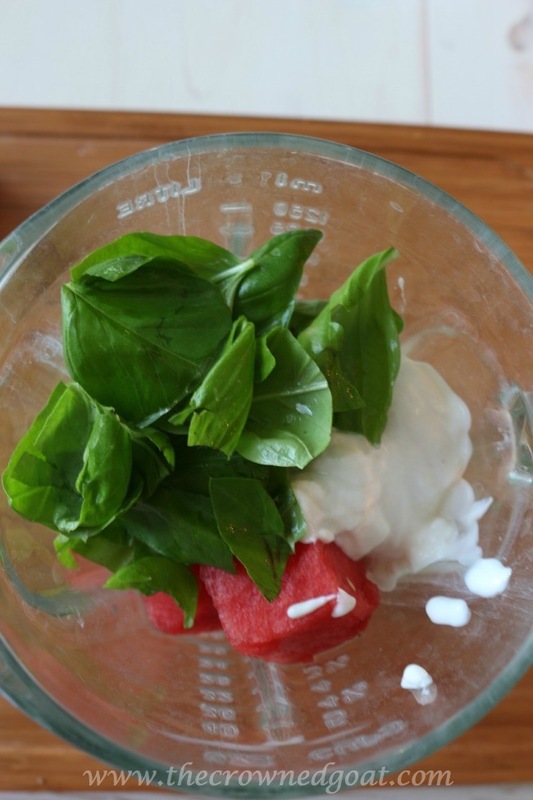 This recipe is good as a smoothie on the go too! See you guys back there tomorrow. It’s going to be a busy weekend and I’m hoping to cross off a few items from my Summer Bucket List. I’ve never thought of combining these two favors. I love them both so I’ve got to try these! They sound yummy! Dear CoCo – we’ve been looking at recipes that help us beat the heat. Thank you so much for providing the perfect treat! We never would have thought up this flavor combination or the addition of yogurt. We love all three ingredients so we will be making these very soon! The blog post I just sat down to write may have to wait! I have Basil in the garden, and watermelon and greek yogurt in the freezer … and in 3 hours I could be eating one of these?! YUM! I’m visiting from Fantastic Friday, and very glad to have found your blog. I am curious – do you know what font these comments are written in? It is very pretty! Sounds so refreshing! Thanks for sharing this on dream, create and inspire! Party.. I appreciate it Maria, thank you so much! These look so good. 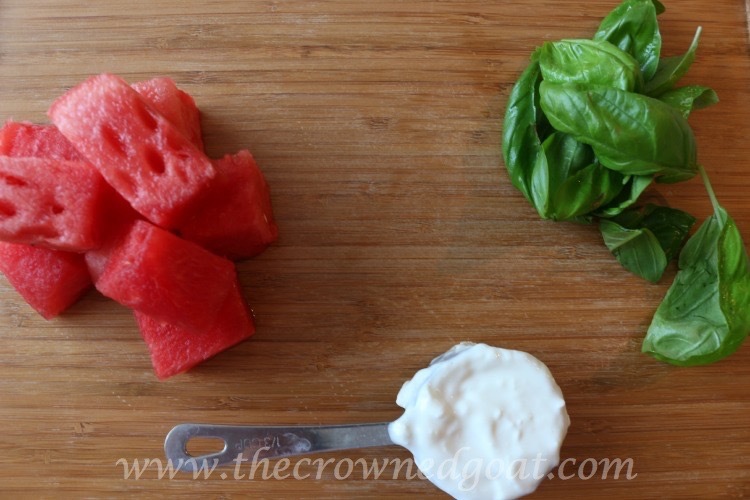 Watermelon is one of my favorite foods (so is basil):-) Thanks for linking up and sharing with us at Funtastic Friday. Please join us again this week.